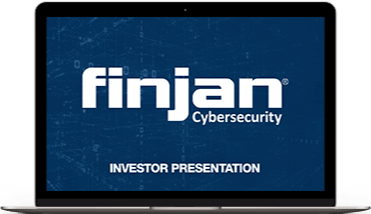 Finjan, founded in 1996, is a technology company committed to enabling innovation through the licensing of its intellectual property through its subsidiaries Finjan, Inc, Finjan Mobile and Finjan Blue. The Company's engineers and developers pioneered behavior-based, real-time detection of online threats by identifying patterns and expected behavior of code and content rather than relying solely upon "signatures" of existing and already known threats. Finjan's commitment to innovation in the security space continues through its investments which have culminated in the development of mobile applications through Finjan Mobile, and incubation of up-and-coming technology startups pioneering a new generation of security technologies through our investment in Jerusalem Venture Partners (JVP) Fund VII's Cyber Labs.